Hellooo ladies and gentlemen! I am proud to say that I have officially done my last exam of my undergraduate degree! I can't quite believe it and I don't think the reality has quite sunk in yet... I still have to do my dissertation as I ended up having to get an extension thanks to the not so fun thing that is depression but it's allll good. 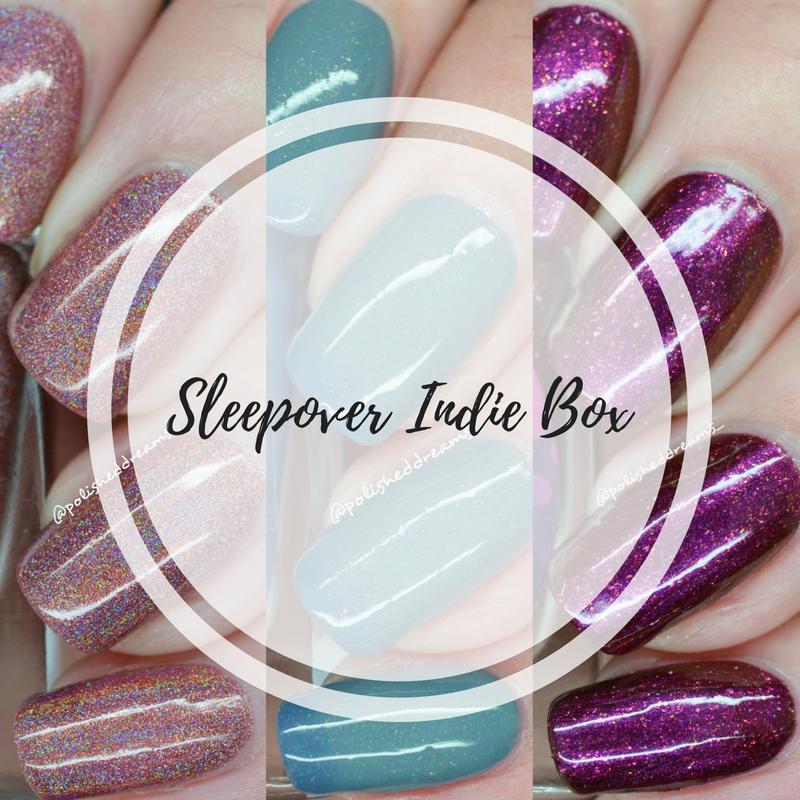 Anyway, I couldn't wait to get back into blogging so I am making my return with swatches of the recently released Sleepover Indie Box! If you are at all active in the UK indie world then you'll know that the indie box is organised by the fabulous Hayley from Danglefoot Polish and features various other UK indies. Each box has a theme and this time it was Sleepovers! Let's take a look at what goodies were inside shall we? First up is this gorgeous holo from Sparklea Nail Polish. If you follow me on Instagram then you've probably seen my swatch already but it was just so pretty I couldn't wait to share it! The polish is called 'Truth or Dare?' 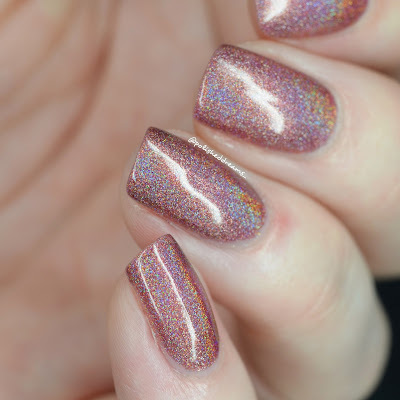 and is a beautiful deep dusky pink with lotsss of holo. I wore this for the majority of last week and it lasted really well! One thing I will say though is that it looked different in every sort of light! Sometimes it was really pink and sometimes it was darker and almost more brown. A pretty brown though! 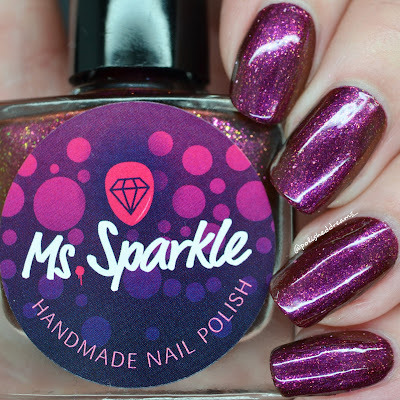 As with all of my Sparklea polishes, it had a lovely formula and I was very happy because it meant I barely had to do any clean up. This swatch shows two coats with topcoat. The second polish I have to share is from the box organiser herself, Danglefoot Polish. This is a lovely thermal polish named 'Pyjama Party' but you'll have to forgive me for the lack of photos showing the different colour states because I ended up having to swatch it in a rush before getting the train last night. It transitions between grey and purple and has a pretty green shimmer running through it. 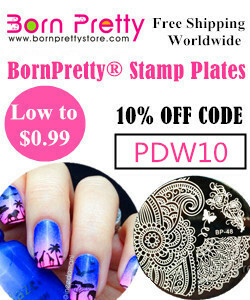 I think because of the grey/purple combo and the green shimmer, it can appear blue! I'll get extra swatches done ASAP and add them in later. 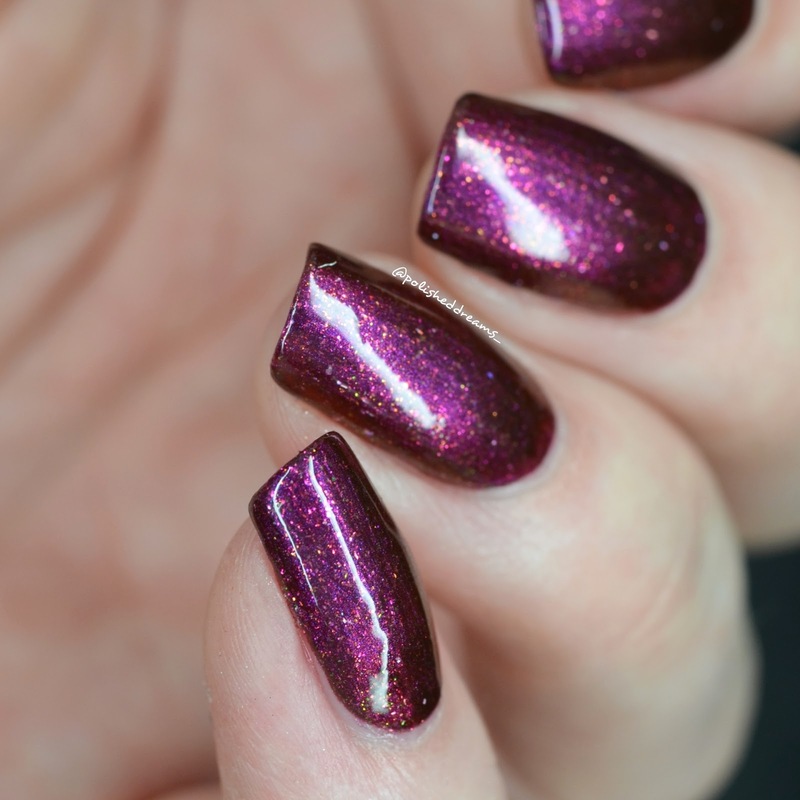 Another fab formula from Hayley here and shown below in two coats with topcoat. The final polish in the box was 'Are You Afraid of the Dark?' from Ms. Sparkle. This is a brand I haven't tried before and actually isn't even from the UK. This polish has come from the Netherlands and boy am I glad! It's a stunning deep orange/red polish with shimmer and flakies and I looovee it. It may not be a 'summer appropriate' shade but do I care? Nope! Also, I live in England remember...the magical sunshine that we currently have probably won't even last much longer haha! 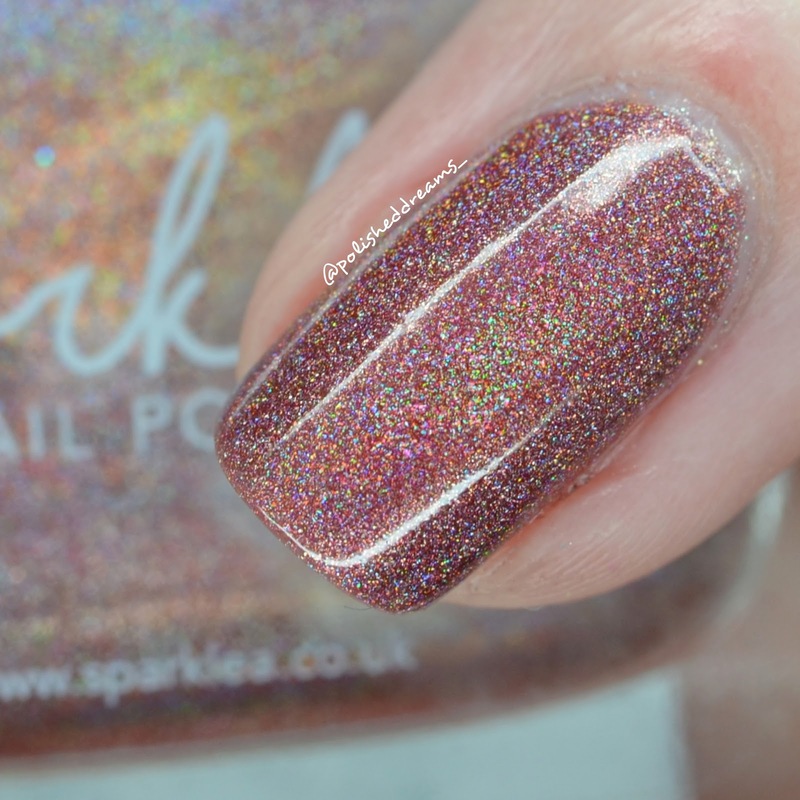 This beauty was another one with a great formula and my swatches show two coats with topcoat. 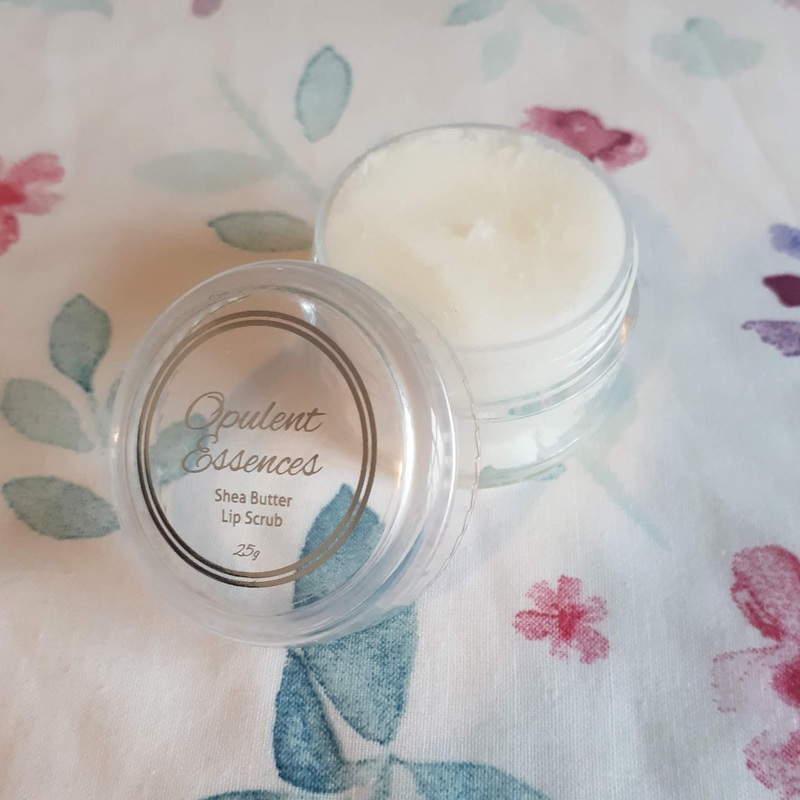 As always with the indie boxes, we also received a non-polish item and this time it was a 25g Almond and Shea Lip Scrub from Opulent Essences. I recently bought the Chocolate Lip Scrub from Lush and that's the only one I've ever used so that's all I have to compare. The Opulent Essences scrub has a much firmer texture but after one use has left my lips feeling amazingly soft! I simply scooped out a tiny bit with my finger tip, applied it in circular motions over my lips and then washed off with some water. Easy peasy! Unlike the polishes, this is available to buy here from Opulent Essences for a great price of £3.50, especially considering how little I used. It will definitely last a while! If you want something that gets rid of the dry skin on your lips and moisturises, then I would highly recommend it! They also do Spearmint and Berry flavours for those who want something a bit more adventurous. So that's that...This was a brilliant indie box and what a great intro back into blogging! Massive thank you to Hayley, Lea, Simone and Sharon for these wonderful products! I am sooo glad I decided to buy the box even though I wasn't doing my nails at the time. 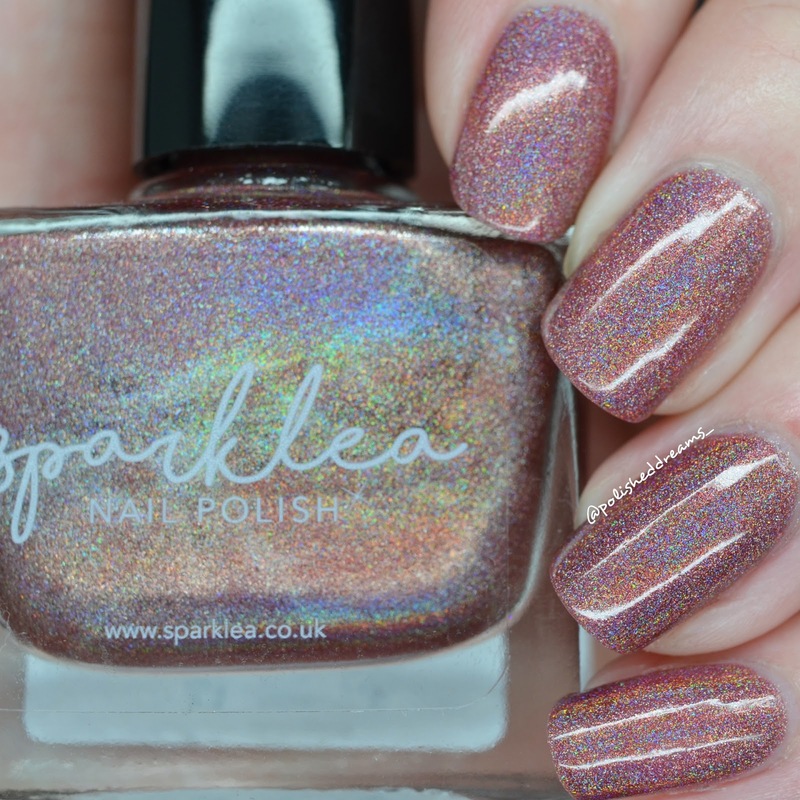 I'd hate to be one of those people that has seen swatches coming out and regretted not buying it haha. 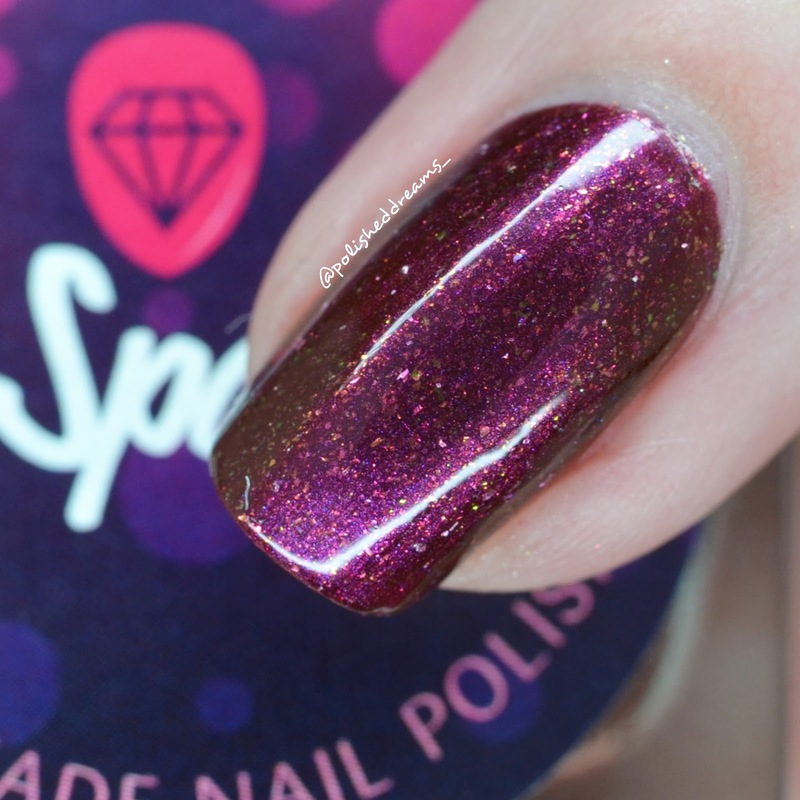 Don't forget to check out all of the shops mentioned to see all the other goodies that are available to buy and keep an eye out on Danglefoot's Instagram as Hayley has just revealed the theme for her next mystery box! 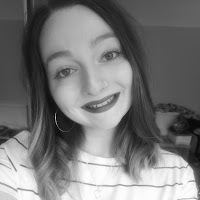 In terms of blogging, I plan to actually post regularly now and have even got ideas for posts for the whole on June! Guess you could say I'm excited to be back!